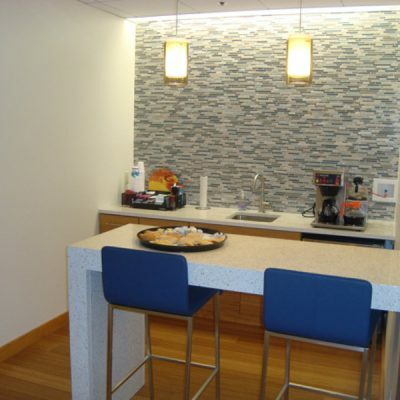 This project had an aggressive schedule to complete demo of 50,000 sf of congested office space in 2 weeks preceding an 11 week build-back project schedule. 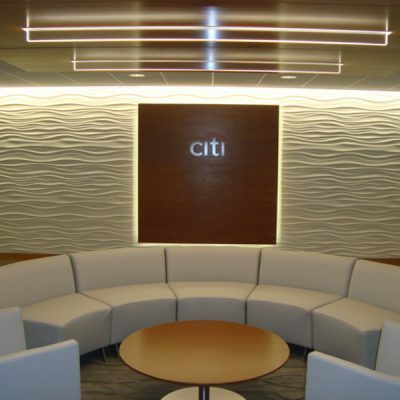 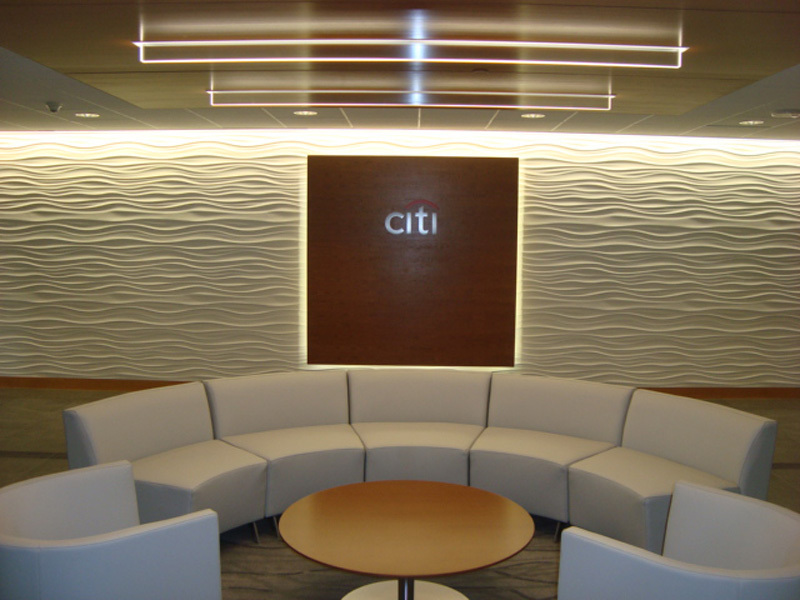 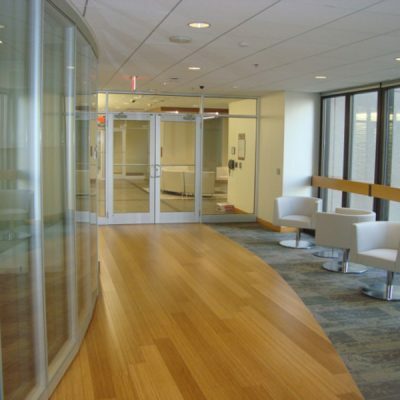 The project included a feature wood ceiling and a custom Modular Art Panel Wall in the renovated lobby. 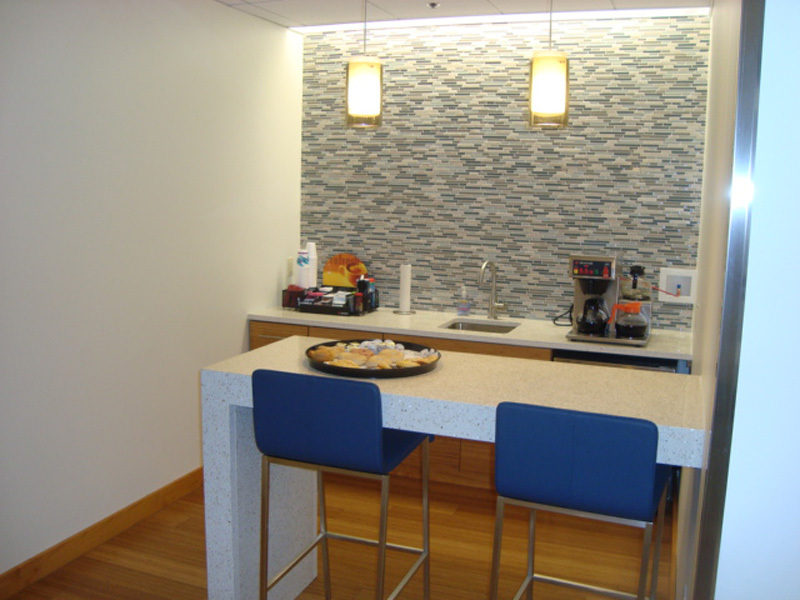 Improvements to the space also incorporated new lighting with Lutron system, premium finishes such as bamboo plank flooring, bluestone floor tile and icestone countertops; as well as renovations to restrooms and the tenant’s HVAC systems. 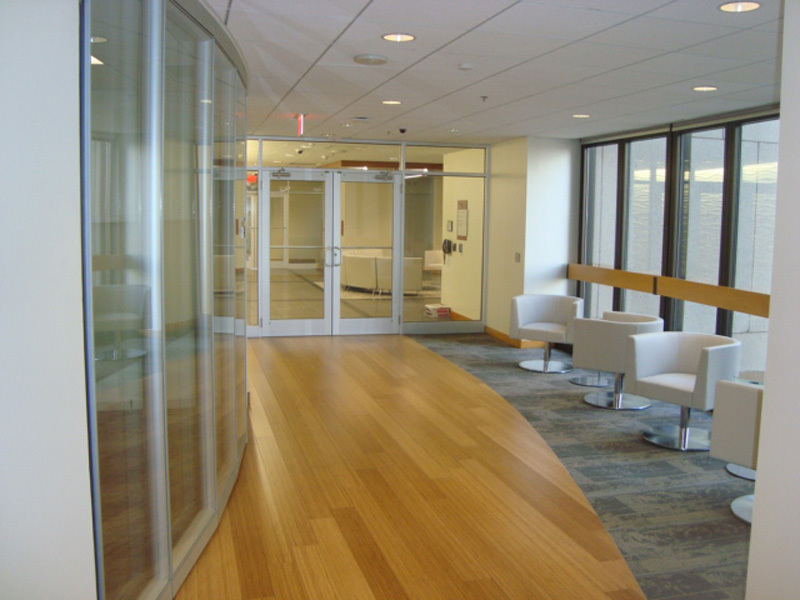 The project required expediting the installation of a computer room, MDF/phone room and an associated infrastructure and cooling units.